Hurry, this won't last! 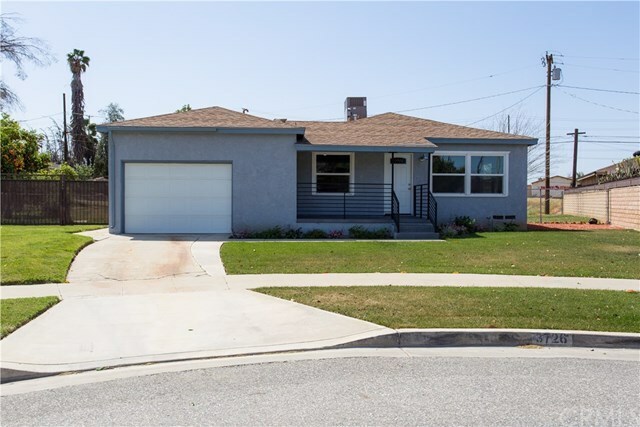 This 3 bedroom 1 bath home has been completely renovated and sits in a very established neighborhood. This home sits on a huge lot with unlimited potential. The bathroom was gutted down to subfloor and rebuilt with all new plumbing, new floors, new drywall, new vanity, lighting, tub and custom tile. The kitchen also completely redone with all new stainless steel appliances, new cabinets, sink, fixtures and floors. Original hardwood floors sanded, stained and sealed to its original glory and perfection. Laundry room off the kitchen in a mud room setting with more storage leading to the covered patio in the back yard. This home also features a tankless water heater, a brand new 5 ton HVAC unit, and has been completely re-ducted for forced heating and air. With a sprinkler system in the front yard, drip system in the front flower garden and more than enough room to add RV parking on the side or in the back yard. The empty lot behind the house is scheduled to be a retirement living home.